Last season the Rugby Union men’s teams were dominant throughout their respective leagues. The first and second teams gained promotion, remaining undefeated all season, to Northern 1A and Northern 3A while the third team secured promotion to Northern 5A. 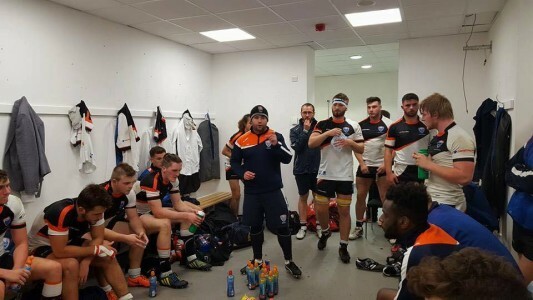 Coming off the back of such a successful season, head coach and rugby development officer for MMU Sport, Rob Jones, spoke about how MMU Rugby Union plans to build on their dominance going into the new season. Rob said: “We look at what we can do every single year to improve and make our programme better and more interesting. Probably our biggest thing is to constantly check and challenge, and replace. "Replace your athletes, by that I mean, you’ve always got a high attrition rate at universities. With the start of the season less than a week away, Rob said the teams are as ready as they can be for next week’s opening fixtures. Half-time talk during 2016's Varsity game. “We are as prepared as we can be, the lads put in a lot of extra commitment and came back to university three weeks early to train 10 times per week. We went to Hungary for a training camp and played their U23’s. Back in the UK we beat Durham and NTU (Nottingham Trent University) in pre-season warm up games,” he said. Rob, who is going into his eighth successive season with MMU, has taken MMU Rugby Union from nowhere up to 11th in the university national rankings. He made it made clear that the ultimate goal is for MMU Rugby to become the best in the country. We were nowhere, probably around 90th out of approximately 155 institutions, now we’re 11th. We started with one team and now we have four. (…) We’re on a journey to be the best Rugby institution in the country. The development of MMU Rugby Union has been incredible and Rob wants to ensure the success is maintained by adopting a new DNA into the philosophy of the team, which will see the social side of the sport crossed with a 'brutal dominance' lending itself to success on the pitch. He said: “We looked at what is our MMU athlete?.What do we want him to stand for? We want that sort of Manchester hardened thing, so we’ve got a hashtag 'brutal dominance'. And that’s being mentally tough, physically tough, it will break into that. “Moving forward in our DNA, we looked at the social aspect of what do I want from my players? And I think the biggest compliment you can give an athlete in any sport is that they are a good teammate. So hashtag best teammate is another one. 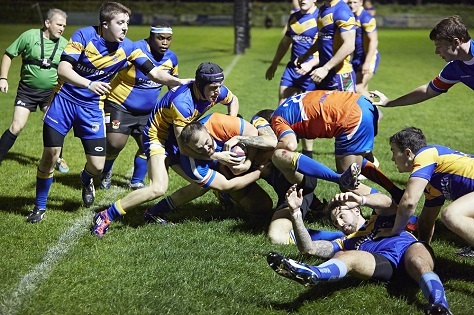 MMU Rugby Union look in good stead to complete another successful season. Rob went on to discuss his expectations for the season, citing the biggest threats to MMU in their upcoming campaigns. Rob said: “I expect the first team to get promoted, with possibly Newcastle University and Liverpool University our biggest threats. The seconds and the thirds should get a top three finish, and the fours should win the Campus League. A big year for MMU Rugby Union gets underway next Wednesday, October 10. The men’s first team travel to Durham University while the seconds are away at Bangor University, and the thirds visit Liverpool Hope University.